Tamra also has a passion for helping people heal from trauma and come to a place of peace and safety. Having worked with many who have experienced trauma, she understands the impact that can have on the individual as well as on significant relationships and families. She has certified training in EMDR to help clients heal from trauma. At the heart of Tamra’s therapy is the desire to help clients form strong emotional connections with their significant others. She has been trained in Family Centered Therapy and is currently pursuing training in Emotionally Focused Therapy for couples. 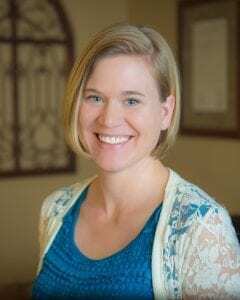 Tamra received her MA in Counseling from Gordon-Conwell Theological Seminary in Charlotte and her BA in Biblical Studies and Theology from Bethel University in St. Paul, MN. Outside of work, she enjoys being out in nature, making chocolate chip cookies, and playing board games with her family.